Disclaimer: I received one or more products to facilitate this review. No other compensation was received! I love living in Utah where we get all 4 seasons. Yesterday it was in the upper 80's and overnight a storm blew in, so today it is lightly raining. The leaves are changing rapidly. But I love the lakes, mountains, verdant meadows, and forests. In each of these places, if left in their pristine state, one can find substances and fragrances that are healing to the mind and body. 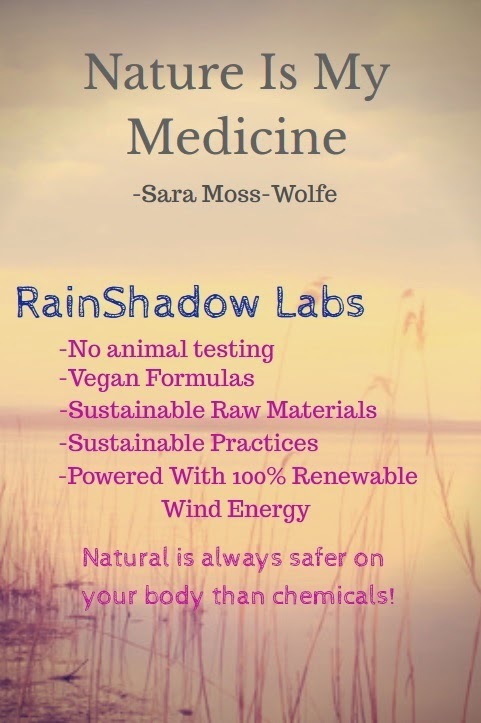 About the CEO co-owners – Vanessa Johannsen is the resident Alchemist, CEO and Chief Custom Designer with RainShadow Labs. She is well qualified and really is the explanation why this company has such product integrity. Vanessa spent 10 years in the natural botanical field, studying plant medicines intensively including a 5 –year apprenticeship with a Huichal elder and medicine man, 3 years with a Seminole Native American Medicine Man and Shamans from both Guatemala and Peru. She has a bachelors and masters in Holistic Health, Herbalism and Aromatherapy. The products are a result of her direct involvement and design. Tim Johannsen is the business end of the company and has helped those who choose Rainshadow as their product supplier to think bigger, smarter and in a manner as to promote world conservation. Together they are a formidable team and have been in business since 1983. ARH Hyaluronic Acid Serum - The 32 oz. amber bottle comes without frill or labels. But it is all business when it comes to the ingredients. Rated as a whole food because of the 72% natural ingredient list, it packs a punch in the beauty category. "Botanical Hyaluronic Acid makes up five percent of this high quality formulation. Holding up to 1000 times its weight in water and drawing moisture out of the environment and onto the surface of your skin, there is not a more effective moisturizing agent on the world market today." It is Non-comedogenic, penetrates deeply, and activates collagen production for a fresher, younger, firmer, brighter complexion. This is a great product to use alone or mix with other products, such as a masque, lotion or cream. I like to use it by itself, after I wash and before I moisturize. It absorbs quickly so I don't have to wait more than a minute before putting on moisturizer. I love how supple my skin is looking with regular use of this Serum. Other ingredients include organic aloe, witch hazel, jojoba oil, green tea, Geranium essential oil, and vitamins C and E.
LBBC Smoothie Cream - This lotion is so lovely! It is 35% organic, unscented and the price is unbeatable. A one-gallon bucket is $35.70! You can make over 60 2-oz jars of cream with that amount! It absorbs into the skin quickly and makes it feel smooth and silky for hours. Ingredients include shea butter, sweet almond oil, pumpkin seed oil, Macadamia Nut oil, wheat germ oil, avacado oil and Kukui Nut Oil, among others! This lotion is perfect for making your own scented lotions. I found some great Fragrance Oils that I mixed in with this lotion. It makes for great gifts and so inexpensive! A 2 oz. 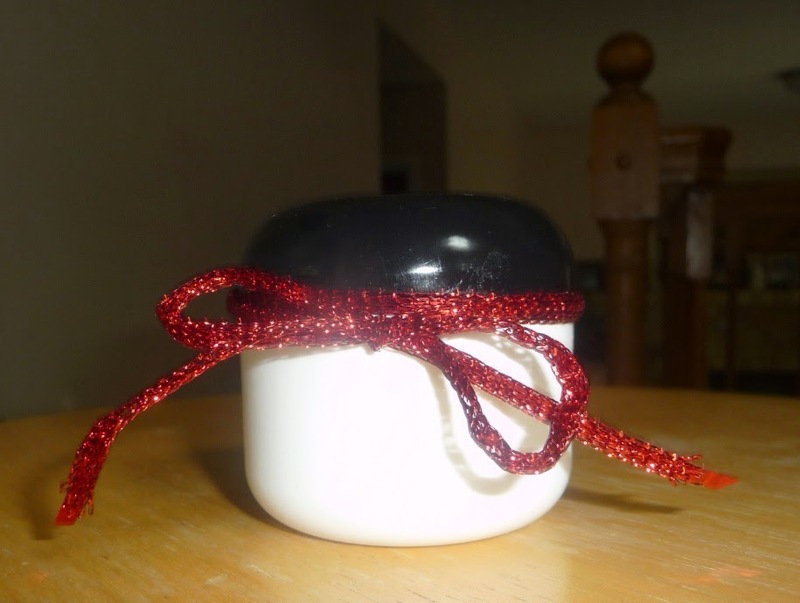 jar of scented lotion, including the container, averages about $1.50. I'd love to try making something with the Botanical Hyaluronic Acid. I've always wondered why it makes my skin feel so good. I'd love the try the Smoothie Cream. I need something that absorbs quickly and I bet it smells soooo good!